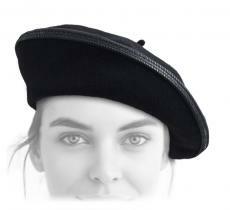 - a centered beret means "I am classic and I assume it". - on a side: "I am an artist. - and hiding a brow, you become a fashionn victim. 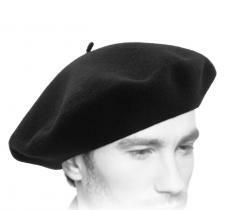 In the same way as the baguette or the wine, the black beret represents an emblem of France and of its people. Since the 18th century, it is considered as the headgear of creative people, of artists such as Auguste Rodin and Pablo Picasso. Even today, foreign tourists have this stereotypical image of the French on a bike, on their way to buy a baguette, wearing a striped jersey and a French beret, and drinking a cup of red wine. That way, its distinctive rounded shape, without brims and with its light texture, silky and flexible, make this accessory a "so Frenchy" icon. 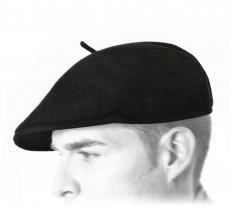 French beret, native of the Basque Country? Que nenni! As the saying states: « Lo berret qu'ei bearnés ! ». The beret would come from Béarn, a region located at the base of the Pyrenees and and borderer of Spain and the French Basque Country. Béarn claims being the crib of the beret. At that time, it was knitted by Bearnese shepherds, it smelt heavily the sheep and would narrow as soon as it rained. There was a tradition that says that little boys of 10 used to receive their first beret to enter the adult world. However, this accessory owes its name to Napoleon Bonaparte when the building of the palace for his spouse, the emperess Eugenie, at Biarritz since the workers were wearing this headgear. 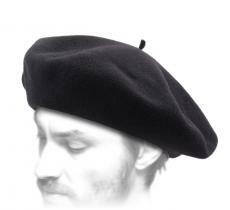 Since then, the expression "French beret" passed into the collective imaginery. 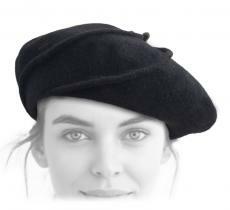 Oftenly worn by women from the 1930s, the beret is a unisex fashion accessory. It was the famous dressmaker, Coco Chanel, who used it first on a catwalk show. Thanks to her, the United States discover this new hat and adopt it very fastly. Men also wear it because even if you're not wearing a striped jersey or drinking win, you can however proudly adorn your beret. During the spring and the autumn as well, this accessory complements perfectly your look while protecting you from the sun or against the cold, when its winds are icy. 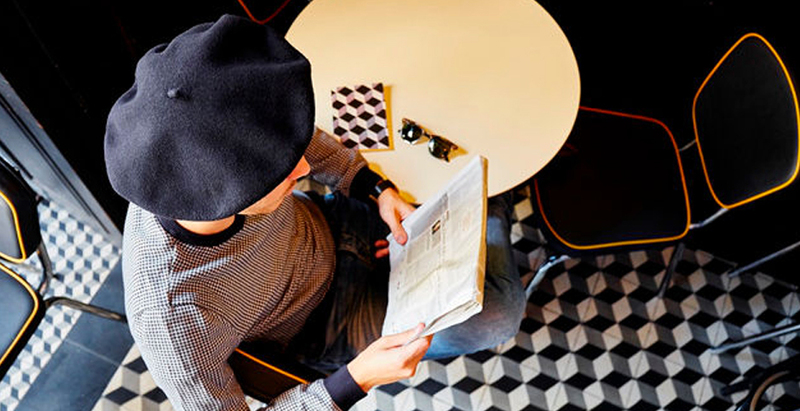 For years now, the beret got rehabilitated periodically into the fashion world. Therefore the best way to wear it would be to associate and dissociate styles. 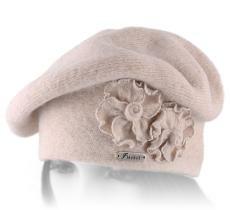 Do not wait anymore, find out our French berets collection. You'll surely crack for one of them! Most handmade berets come in fact from Spain, the French brand Laulhère being the only remaining mill to make these headgears in France. Since 1840, there are manufactured following its authentic know-how and excellence. 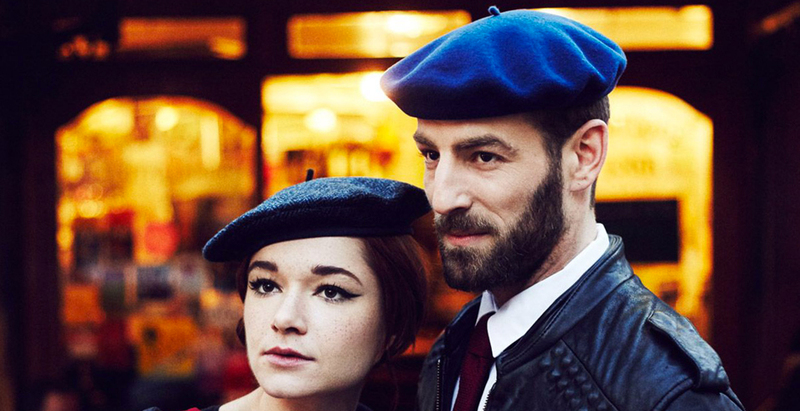 All Laulhère berets are made of pure merino wool. It is a wool composed of ultra thin fibres which has the particularity to be waterproof and which insulates against the heat and the cold. That's the reason why shepherds and service-persons wear merino-wool French berets. 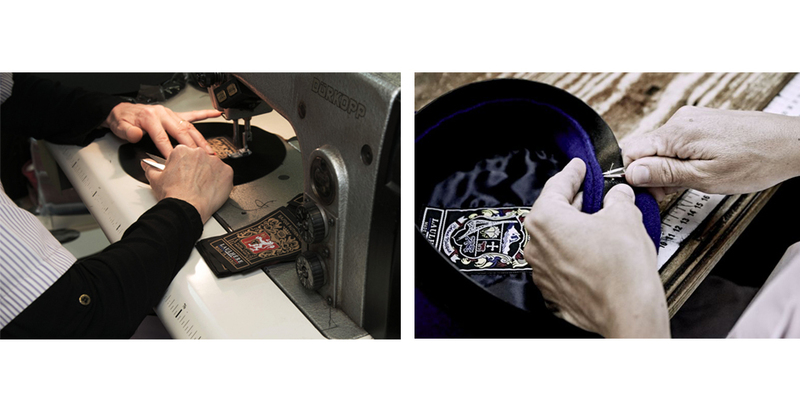 Discover the seven steps of the manufacturing of the French beret Laulhère. 1. From the raw merino wool mixed with oil in order to untangle the whole, Laulhère uses customized knitting machines ranging from the "cabillou", meaning the small << tail >> of the beret situated on the top. Once knitted, it comes out in a single very large piece. 2. The felting is done as follow: it is placed 5 to 7 hours into a machine at 70°C in order to make its texture denser and more elastic. 3. The beret is shaped with heat and a wooden model. 4. Then comes the dying where Laulhière offers a large range of colors going from the most neutral (black) to the craziest and fanciest (yellow duck). 5. The scraping allows to ventilate flattened hair. 6. Then you have the shaving since the hairs must not exceed the round headgear. 7. And to finish, you have the sewing with the mounting of the leathers, the blazon and the lining. That's it! Your Laulhère beret is ready!